Pin trading at the Outpost, wearing my hip lanyard. I traded pins with guests all day long. Long before I was a Disney cast member, I was a Disney pin trader. 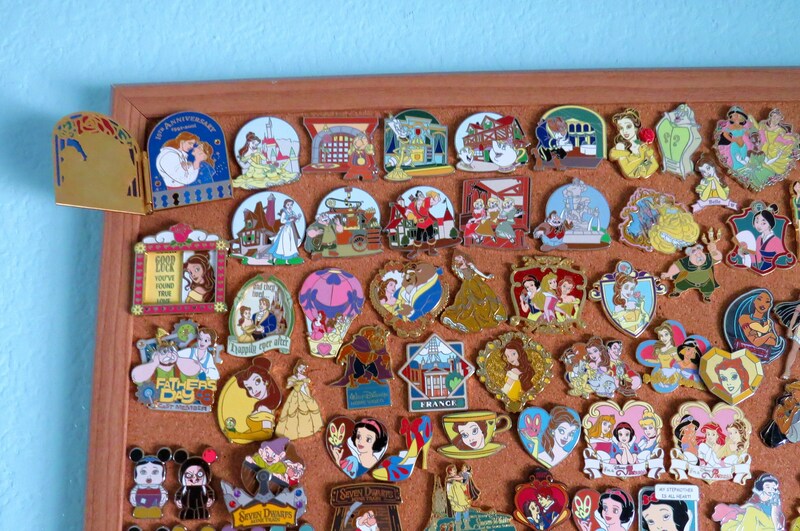 During every family vacation to Disney World or Disneyland, I would trade or buy as many Disney pins as I could afford. I especially like collecting holiday pins. Yesterday, right before I went on my break, a young girl came up to me and asked to see the trading pins that I was wearing. Not all roles can wear trading pins (more on that later), but if you can, cast members get to choose between wearing them on a neck lanyard or a hip lanyard that Disney provides. I like to wear my trading pins on a hip lanyard so guests don’t have to lean in so close to me. I hadn’t refreshed my pins since I arrived at work that morning and the guest didn’t see anything that she wanted to trade. She asked to see the trading pins on the large Outpost pin board. When I got out the pin board, I was surprised to see a pretty Belle pin from 2002. It was the best pin on the board. Any serious pin trader would snap it up pronto. Three days later, I was with my friends over at the Yacht and Beach Club Resort for some dessert. I stopped in at the front desk to check out their pin book. Guess what pin was on the very first page of the pin book? Yup, it was the Belle pin! The little guest must be staying there this week and traded the Belle pin for one she liked better. 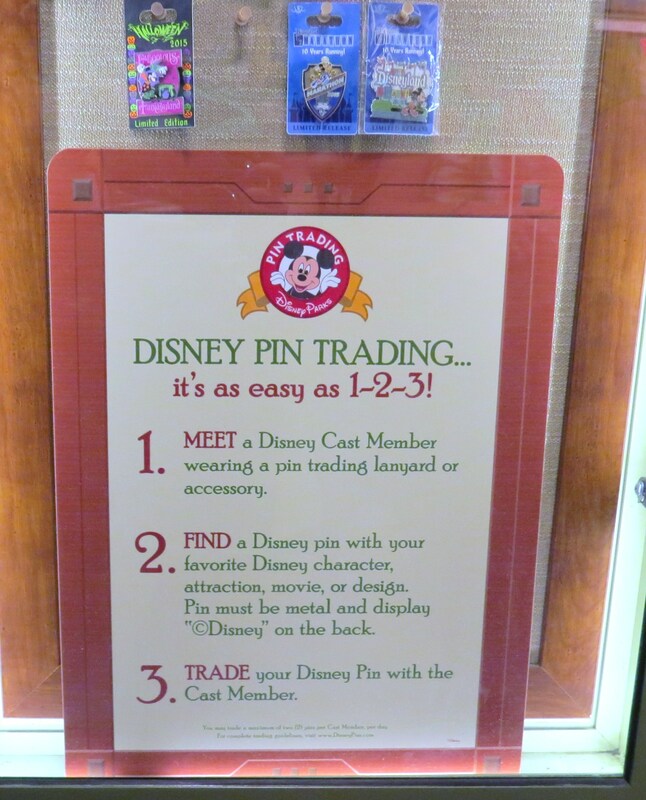 Every day, tens of thousands of pins get bought and traded by guests all across the Disney World property. The odds of me finding that same Belle pin three days later over by Epcot are infinitesimal! Literally like finding a needle in a haystack! 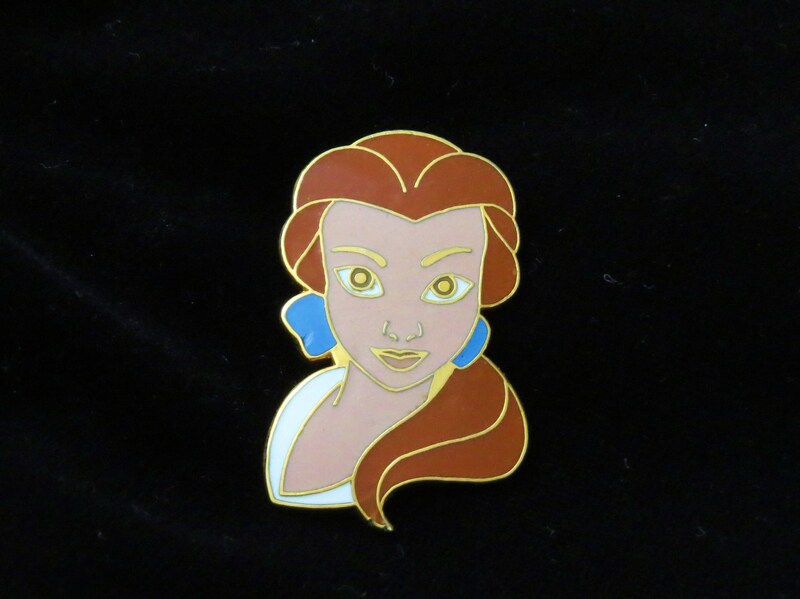 Later on that night, I checked eBay and there she was, the 2002 Belle pin in her blue country outfit, selling for $10. Guests ask me if it’s easy for cast members to tell “real” Disney pins from scrappers. Just like jewelers can tell a real diamond from a cubic zirconium at a glance, it only takes a day or two on the job to immediately tell the difference. But, here’s the truth: To most guests, especially the little ones, it doesn’t matter! They’re pin trading for fun and most times are interested in only certain pins, like Disney princess pins. They don’t like any of the pins on their newly purchased My First Lanyard with Pins, and can’t wait to trade them away for something they like. And, here’s another truth: All Disney pins are made in China. The difference between “real” trading pins that cost $8 at the parks and much cheaper scrappers, which were probably made at the same factory, usually is a subtle variation in color or a slightly different (cheaper) metal. Again, most casual pin collectors don’t care. Dealing with the serious pin collectors is another matter. 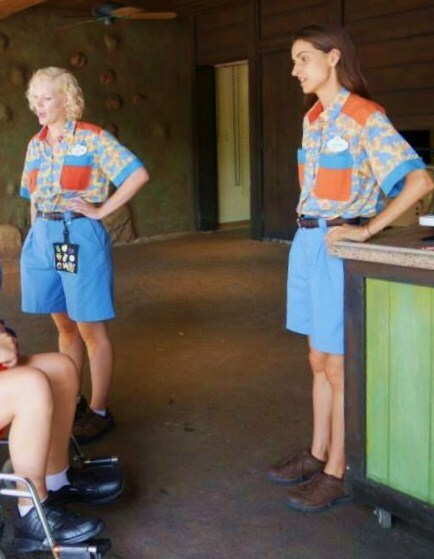 They go to the parks early and interrupt cast members helping other guests demanding to see the pins. If it’s later on in the day and my pins aren’t very “good”, i.e., special/rare, woe to me! They act like they are personally insulted that my pins are so common or boring. A few of my Belle pins. Pin trading is big at Disney’s parks and resorts. While the simple act of trading pins with a cast member is easy, I have some tips for guests wanting to start a collection. Cast member lanyards are the most obvious place to look for Disney pins, but they’re not the only option. 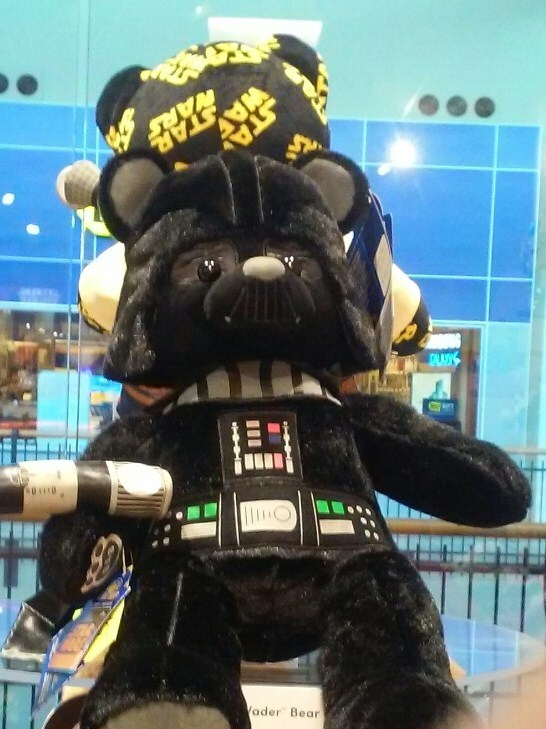 You can find pins at resorts, merchandise locations, and Disney Vacation Club kiosks. In some locations, pin boards and pin books are sitting out nearly all the time. At others, you have to ask to see these extra pins, but they’re nearly always available. Every Walt Disney World resort (with the exception of the Swan and Dolphin) does pin trading somewhere. Just ask at the front desk or concierge, and they can direct you to the resort’s pin board or pin book. You can also find pin boards behind many merchandise registers. Many cast members – but not all – wear pin lanyards. Merchandise cast members wear them most often, followed by custodial and guest relations. 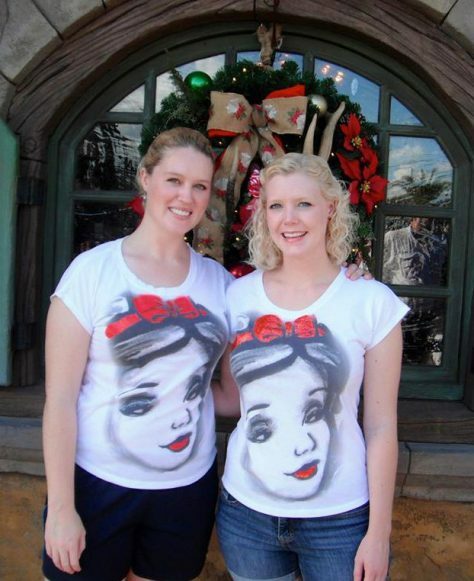 For safety reasons, cast members working attractions generally do not wear trading pins. Pins are refreshed most often for merchandise lanyards because these get the most trading action. This is great if you’re lucky enough to spot a lanyard just after it’s gotten fresh pins. However, merchandise cast members often have a poor pin collection simply because guests trade with them so often. Custodial cast members get fewer trades, so it’s always worth taking a look at their lanyards. If you spot a manager or coordinator wearing pins, you’ll want to get a look at those, too. They probably trade the least because they are so busy running around all the time. 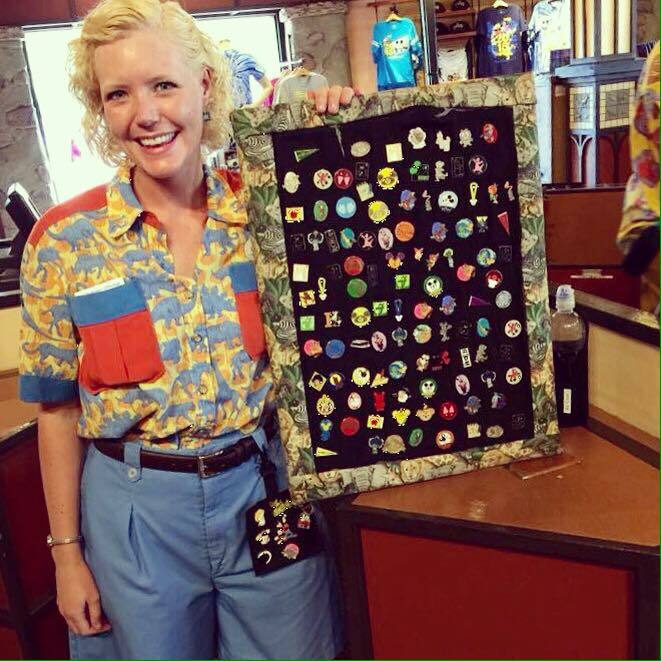 But, you never know with cast members, you just might come across some spectacular pin finds. Disney Pin Traders at Disney Springs has the best pin trading. When their pin wall is open, you can check out dozens and dozens of pins. The wall is refreshed often, too, so this is a good place to find special pins. Unfortunately, the pin wall isn’t always open but you can ask any cast member working there for information on the next trading time. Serious pin traders know the value of a special pin when they see it. If you’re serious about pin trading, do some research before you arrive at WDW to identify pins or pin sets that you’re particularly interested in collecting. Not all guests who wear pins in the parks are looking to trade with other guests. Many just want to show off their pins. We once traded pins with two wonderful Japanese guests while sailing aboard the Disney Dream cruise ship. All their trading pins were from Disneyland Tokyo and all our pins were from Disney World. It was so much fun and we got several very special pins! All pin traders should know how to approach cast members correctly and politely conduct a pin trade. Always ask to see a CMs pins rather than leering at them from a distance. Cast members wearing pins are always happy to show them to you, but it can get uncomfortable when guests are staring at your lanyard from 5 feet away without saying anything. You can trade two pins per cast member per day. This is one of my favorite things! Backward pins are mystery pins that you must trade for without knowing what they are first. You can’t trade a mystery pin right back to the cast member if you don’t like it. When a guest traded a “good” pin (in my opinion), I sometimes would put it on my lanyard backwards as a mystery pin. Young guests would quiz me about it, trying to get some hints if it was worth trading for or not. I never turned around a common pin as I think that’s kind of mean, but some cast members do, so be warned! Keep some pins on hand that you don’t care about to trade for mystery pins and keep in mind that you can always trade them away to the next CM you see. 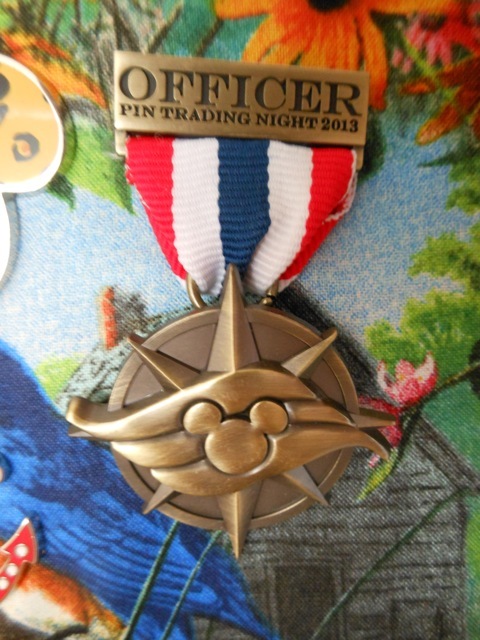 We especially liked the special pin trading event with the ships’ officers held aboard the Disney Dream cruise ship! Pin Trading Aboard the Disney Dream! We traded a ship’s officer for this one! The number one scent that I associate with DAK is probably not the one you’re thinking of! Nope, it’s not the smell of wild animals or animal manure! After working at DAK through every season now, I would have to say that the scent that I most associate with my workplace is sunscreen lotion. Yeah, slather that sunscreen on! Working at the front of DAK, it seems like everyone that gets off the trams coming in from the parking lots pauses and literally hoses down themselves and their children with sunscreen. And, not just the lotion kind that comes in bottles. Over the past few years, sunscreen aerosol spray has become very, very popular. At 9am, white misty clouds of sunscreen with a vaguely coconuty smell fill the plaza in front of the entrance turnstiles where I work. It’s a tropical scent that I’ll always associate with DAK! 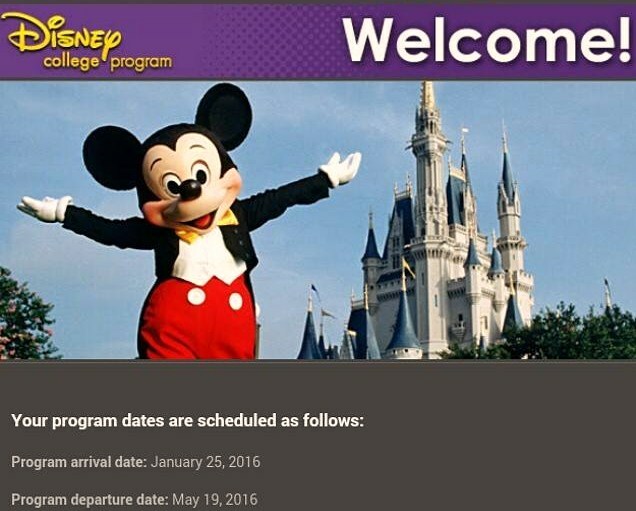 The Spring 2016 DCP program is almost 3 weeks shorter than the Fall 2015 DCP program. Polynesian Mickey stopping by our table. My best friend during the summer program, Ricky, and I planned several more character dining experiences near at the end of my time at Disney. Unfortunately, when I woke up the morning of the breakfast, I immediately realized that I was sick. Really, really sick. I could barely stand up in the shower and my skin felt so sensitive that the shower water actually hurt my skin. (This is the downside of working at a world class theme park. You are exposed to germs and viruses from across the planet every day!) 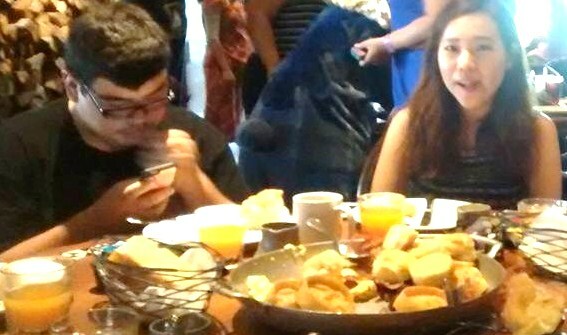 I knew I couldn’t bail on my roommate and all my coworkers; I had to go to the breakfast no matter what. We were all dressing up for the fancy breakfast at 10am and had to catch a cast bus to the Polynesian. Because the buses sometimes run late, and the fact that we’re all college kids, I’m always surprised when the whole group is actually ready on time. I think it must be because most of my coworker friends are ICPs in the international program. They have a different sense of time and are always punctual. They’re rarely, if ever, late for anything. We got to Ohana’s and were immediately seated and given a basket full of yummy, freshly-baked Hawaiian bread. 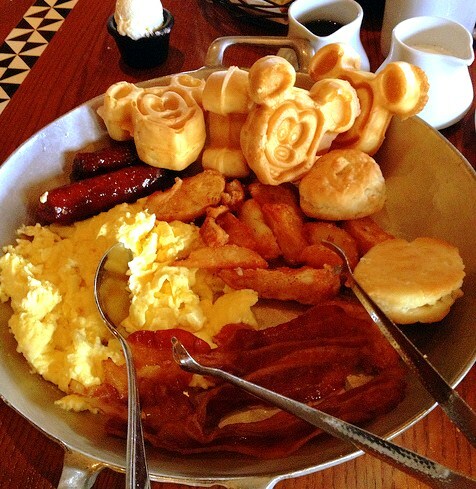 Ohana’s serves the breakfast food family style to the table, in gigantic metal bowls with large spoons to serve yourself onto your individual plates. My friend Ricky is always checking his phone! 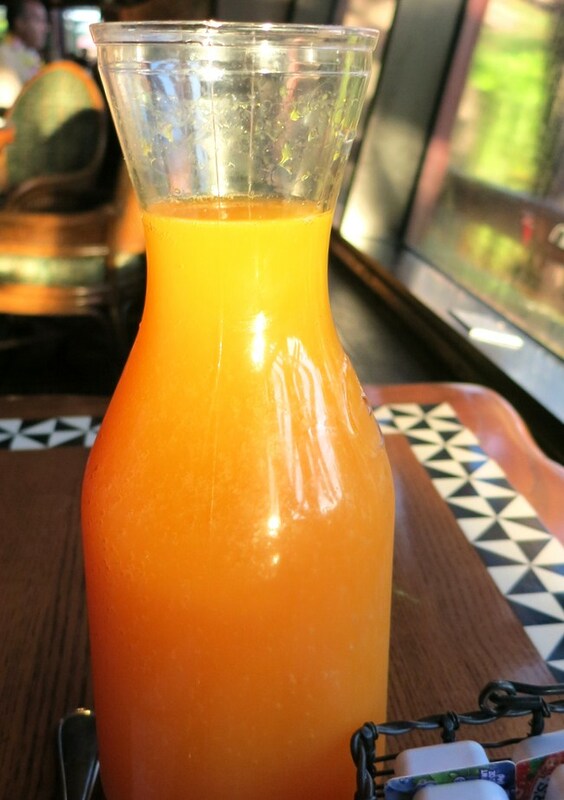 I was really excited to get some more chilled “moonshine” juice just like they served at Trail’s End restaurant yesterday, but here it’s called P.O.G juice, which stands for pineapple, orange and guava juice. It was perfection. Carafes of chilled P.O.G. juice. I love the Mickey Waffles and order them whenever I can. I was happy to see that they not only had Mickey Waffles, they also had Stitch Waffles too! Super cute! 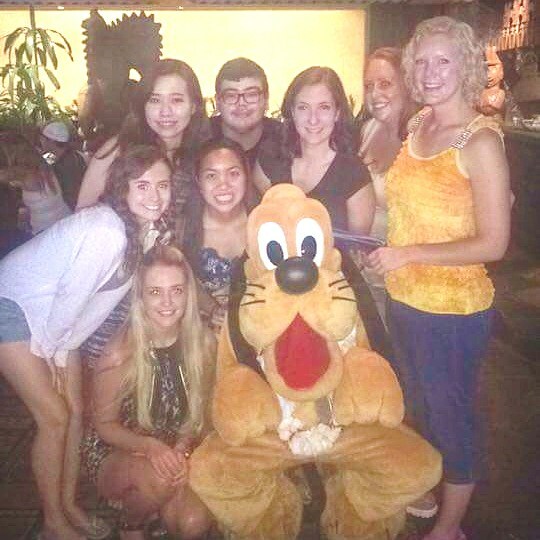 While we were eating, Polynesian Mickey, Stitch, Lilo, and Pluto all came by our table to visit us. I had forgotten how short Stitch is! 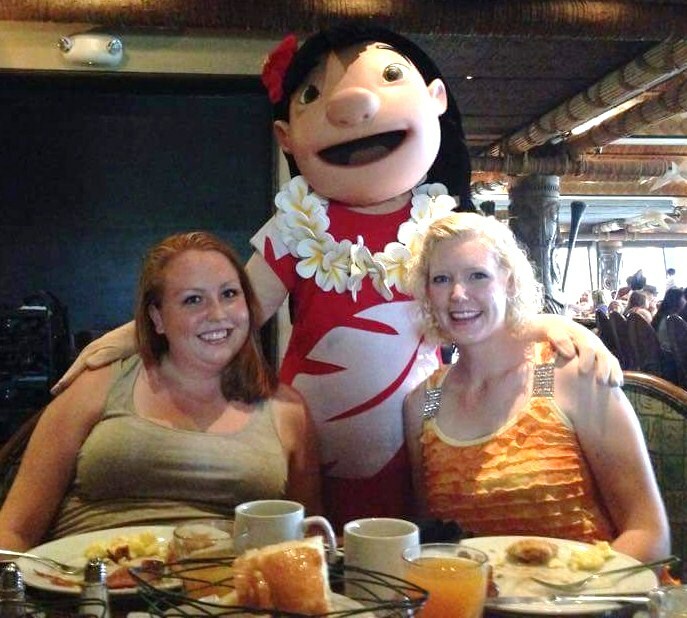 Halfway through breakfast, Hawaiian music started playing and all the kids got up and started parading around the restaurant, laughing with the characters. I loved it! 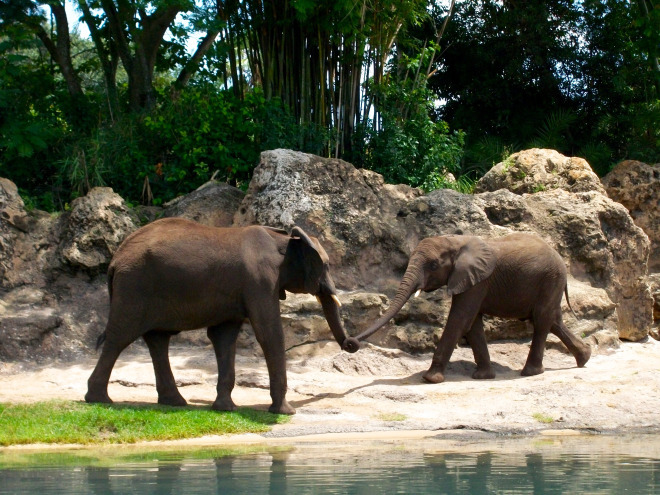 After we were done stuffing ourselves silly with eggs and waffles, half our group went to the Magic Kingdom to play, and the other half – my group – caught a cast bus to the Animal Kingdom to get to work on time. I was feeling worse and worse as the breakfast wore on, but still had to make it to work. I ended up working for just two hours before I couldn’t take it anymore and asked for an ER (early release from shift). I wasn’t sure if my feeling sick was related to getting stung by a bee the day before or not, but I think so. I should have taken more Benadryl before leaving my apartment. I told my managers that I thought I might be having an allergic reaction to my bee sting. My managers were so kind and immediately sent me home with some Benadryl from the first aid kit. I got an ROS – Relief of Shift on my record. It isn’t a point or a negative mark, but if you get a lot of these on your record in a short period of time, it can look bad. This is the first time that I’ve missed work during this program. I went home and immediate took a long nap. I had get better fast because my friend Ricky had planned a great International Lasagna Dinner for later on in the evening and everyone was coming to it. I couldn’t miss that! The ‘All you care to eat’ meal is brought table-side by servers. 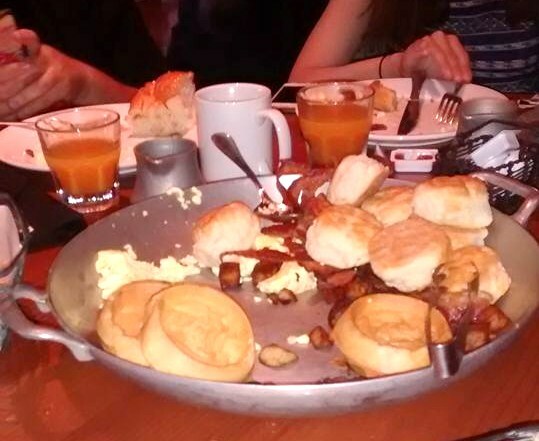 Sweet bread, fruit, breakfast skillet, and Mickey Waffles are brought to your table as soon as you’re seated. The taping of Disney’s Christmas Day Parade was held much earlier than normal this year: November 10 – 13, 2015 at the Magic Kingdom in Disney World. 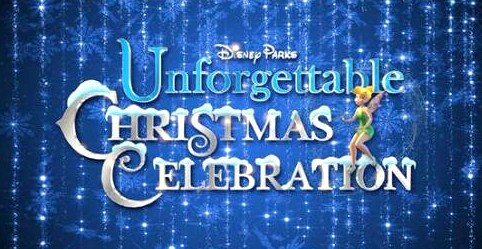 This year’s parade is titled ‘Disney Parks Unforgettable Christmas Celebration’, which is a change from last year’s popular “Frozen”- themed show. The 32nd annual Christmas celebration airs nationwide on Dec. 25 at 10 a.m. EST and 9 a.m. CST, MST and PST on ABC. The show will also air in Canada on CBC Network and across the globe on the American Forces Network. Nov 10, 2015: Taping started today! Guests in the park during the filming days were able to take part with a regular admission ticket; special event tickets were not necessary. Registration for free tickets for CMs began Oct 21st! CM Tip: Cast members could register for up to six free special viewing area tickets. These were timed tickets , i.e., 7am, 10am, 12pm, so you didn’t have to stay all day. 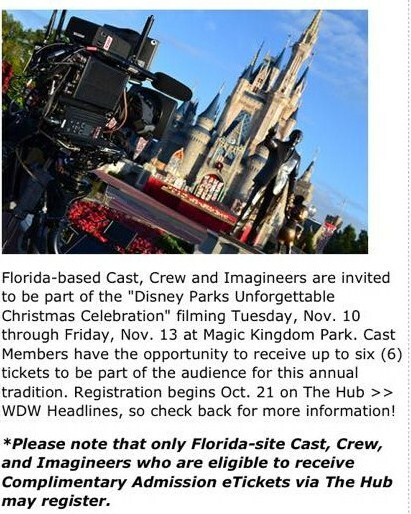 CMs that entered the lottery via the Disney work Hub link were notified by email around Nov. 1st if they’d won tickets. 11/02/2015: Cast members were notified today if they got free tickets for special parade viewing area with date & time. This year’s Disney Christmas Parade will feature Disney Princess floats, and characters from movie favorites including “Toy Story,” “Pirates of the Caribbean,” “Inside Out,” and “Frozen,” along with the all-new “Star Wars: The Force Awakens” and upcoming “Finding Dory” movie. 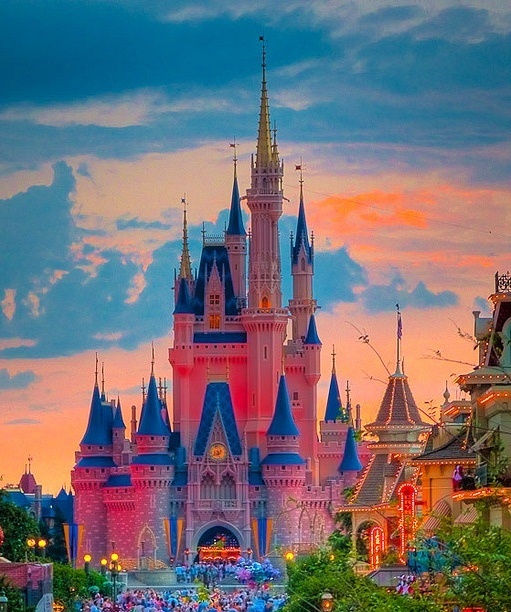 The production company will be shooting various parade elements and guest star performances on Cinderella’s Castle Stage and Main Street USA. Park guests with admission are welcome to view the taping segments from select areas and should arrive as early as possible. This is an actual television production, so expect songs to be sung multiple times and repeated filming of individual floats and special guests; also the park can be quite crowded on Main Street causing difficulty getting to attractions. 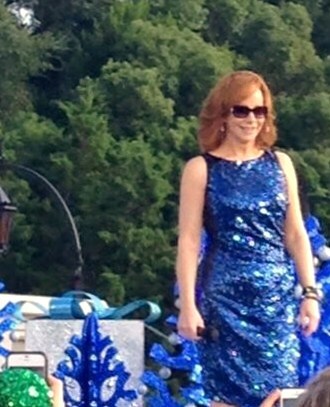 We’re ready for the parade taping! Many guests dress in Christmas attire for the occasion. To avoid the standing crowds, if you’re not interested in watching the filming, take the train at the entrance of the park to Frontierland and navigate the park from there. Note that these are “light” crowd days at MK – many of the attractions in the park will have little to no wait times!! 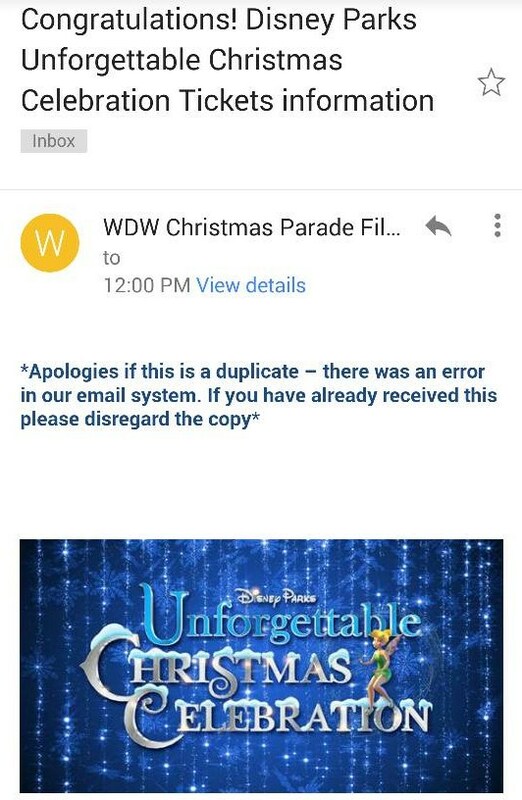 Expect schedule changes and cancellations to park entertainment, especially those on Main Street USA, during the filming, including the Festival of Fantasy parade (will be moved to 5pm). Note: The first night of Mickey’s Very Merry Christmas Party is on November 8, 2015, so the Magic Kingdom, especially Main Street USA, will be fully decorated for the holidays. 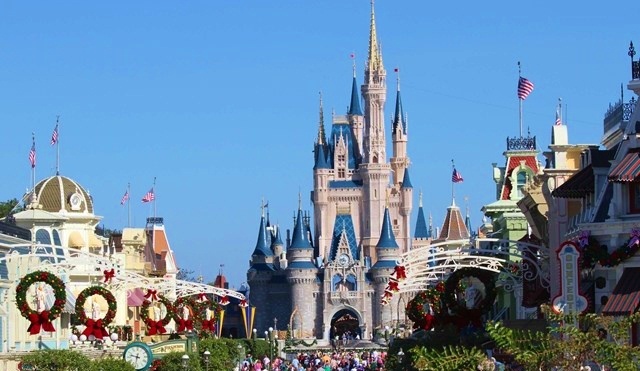 Cast members can get discounted tickets for MVMCP at the Company D stores for $51.80. 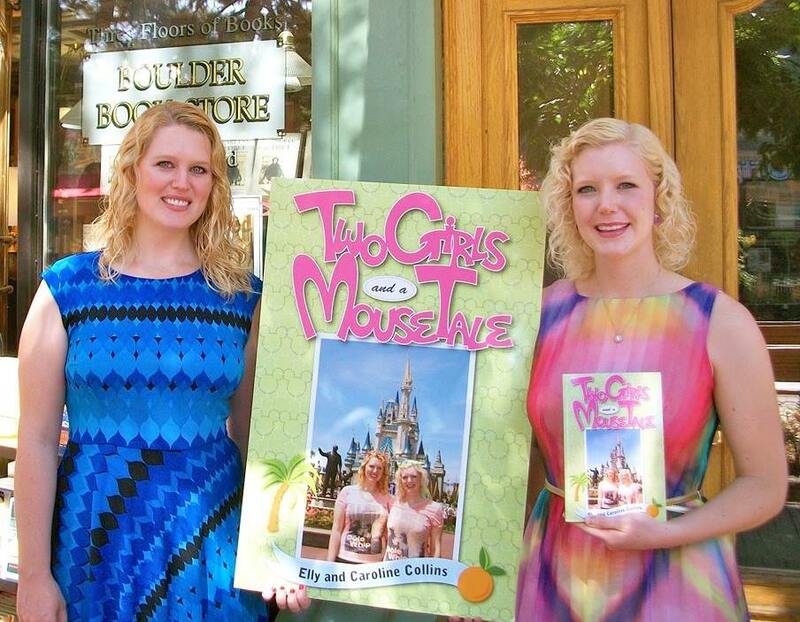 November 10, 2015 Update: WDW Parade Celebrities! Parade Celebrities: The Descendants cast, Reba, Seal, Ariana Grande, Tori Kelly, Charlie Puth, Ashley Benson, Janel Parrish (from Pretty Little Liars), with Robin Roberts returning as the host. Parade’s film crew arriving at 7am. Robin Roberts returns as the Christmas Day Parade’s host, along with Jesse Palmer. The entire cast from The Descendants (on the Disney Channel) were at MK in full hair/make-up/costume for parade taping this morning! They sang two songs. 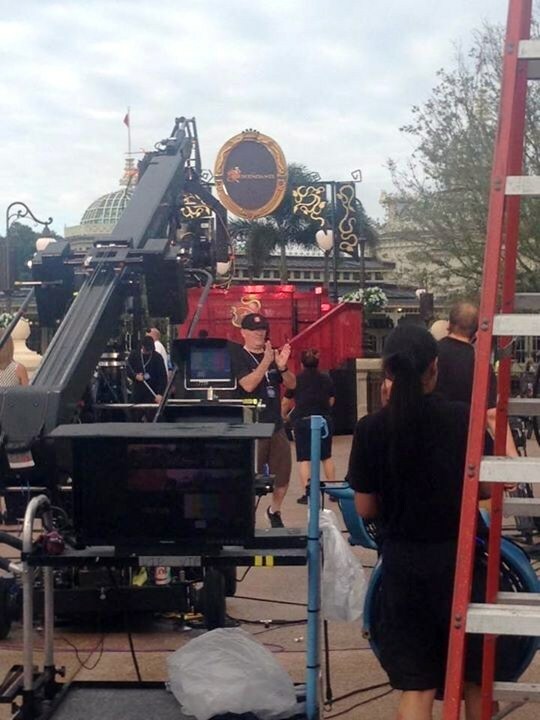 November 10, 2015: 7am – 1:30pm: Cast of Disney’s The Descendant’s rehearses and tapes scenes for the parade. They shot the Descendants today in front of the Castle from about 9am-1:30pm. In the early morning, it was just the backup dancers and lighting crew practicing. Then, The Descendants cast came out and they kept reforming the group to get different angles. (Guests got to watch the same song being sung over and over.) It’s a live production so there is no set schedule, but must wrap production by 3pm because of the rescheduled Festival of Fantasy parade at 5pm. 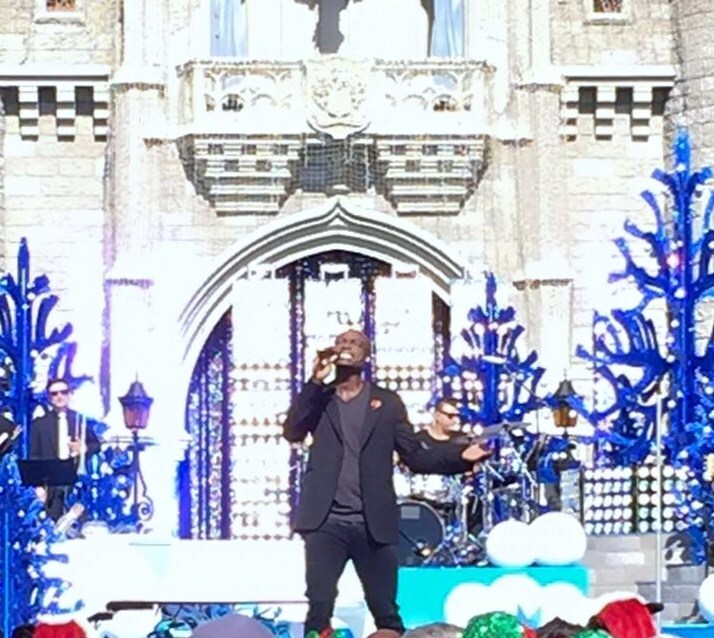 November 11, 2015: 7am – 3pm: Reba performed 2 songs in front of the Castle this morning, followed by Seal in the afternoon. 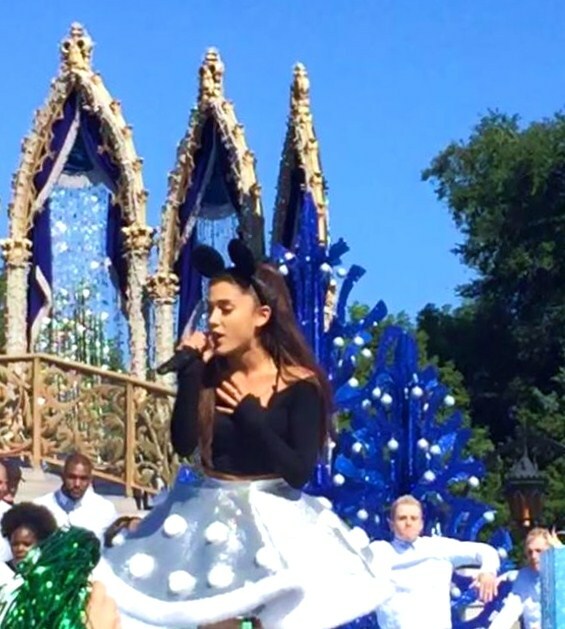 November 12, 2015: 7am – 3pm: Taping of more concerts and holiday songs on the Cinderella Castle stage: Ariana Grande, Jason Derulo, Andy Grammar, and Jhene Aikojanae. Ariana Grande returned for a repeat, back-to-back performance (2014 & 2015). However, she was 3 HOURS late for her taping segment!! The crowd was not happy standing around the castle Hub on the 89 degree, cloudless day. Huge difference in the weather from when she performed last year when it was cold and raining. Tori Kelly performs on the Castle stage. 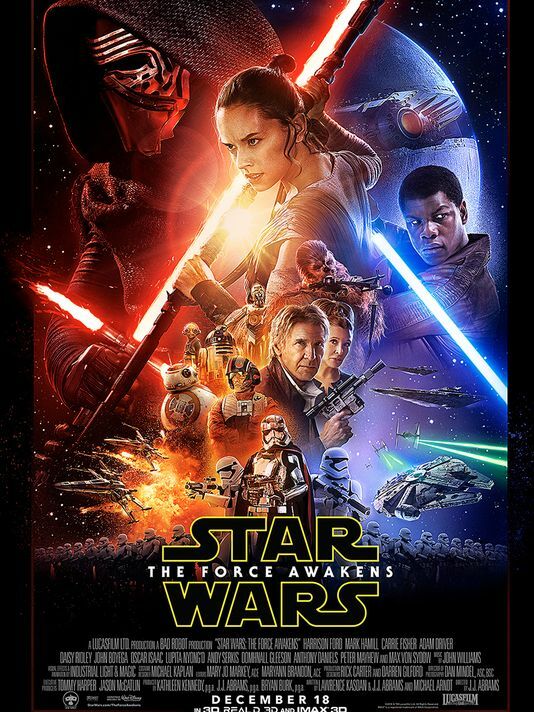 Star Wars – The Force Awakens poster, aka the “Where’s Luke?” movie poster. Coming to theaters December 18, 2015! The Fandango ticket website crashed on Monday, overwhelmed by all the ticket requests. I’m guessing that opening day is sold out nationwide, maybe even opening weekend. 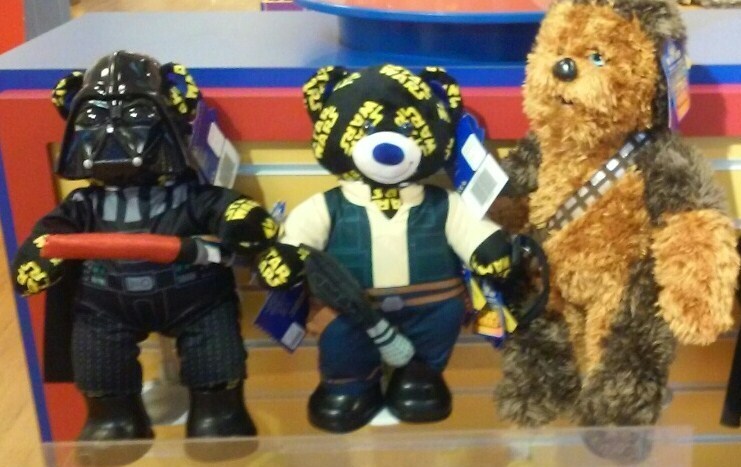 So many Star Wars bears – the gang’s all here! 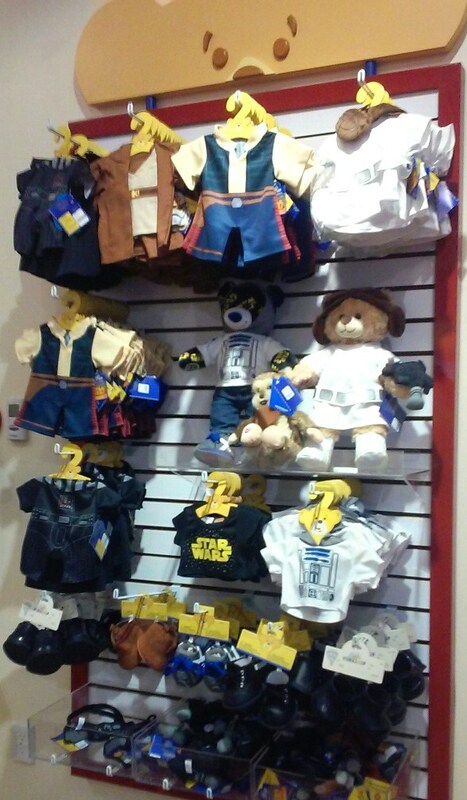 The entire front of the store was Star Wars bears and costumes and accessories! And at the Boulder Bookstore in Boulder, Colorado. 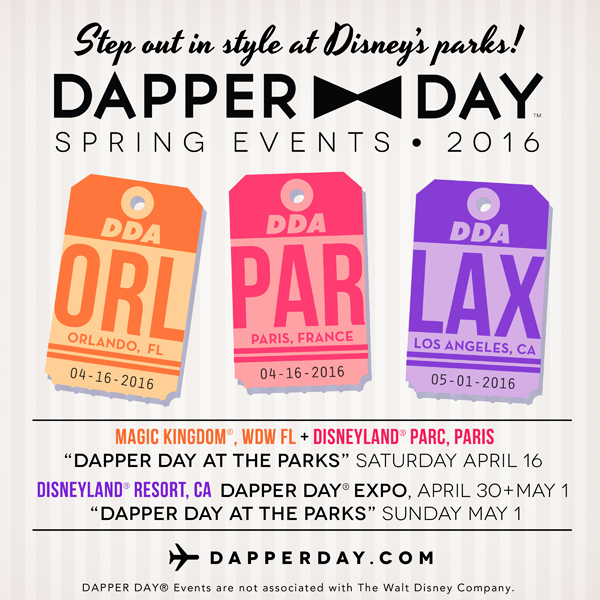 Dapper Days 2016 at the Disney Parks: Step out in style! 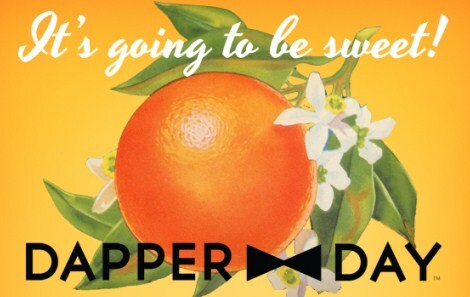 Come dressed in your absolute best! 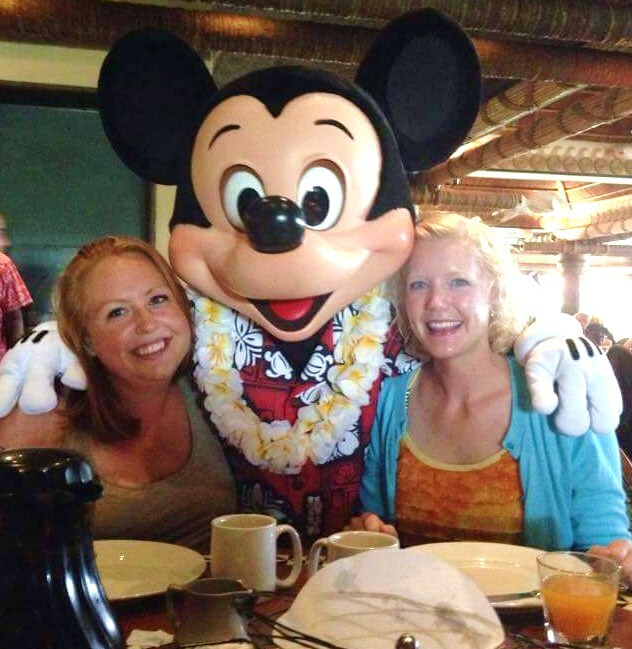 A very Dapper Mickey & Minnie out and about at Mickey’s Retreat in January 2016. The perfect dress for Dapper Days!